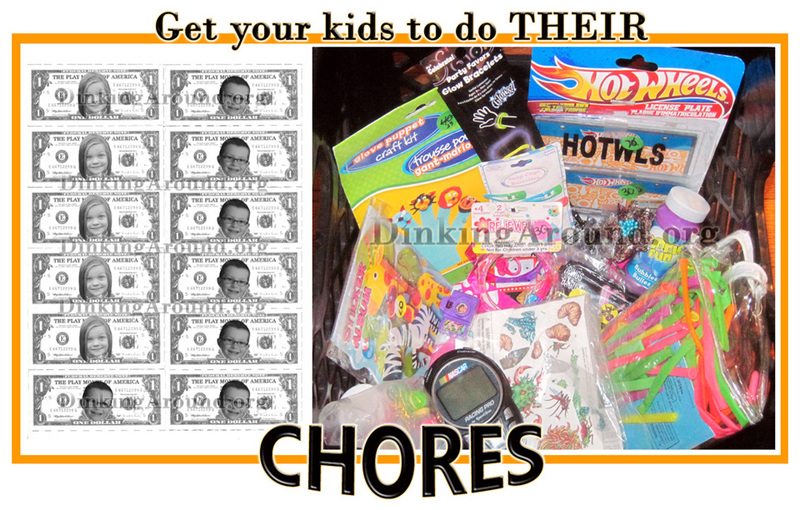 Get Your Kids to Do Their Chores! Simply. It was hard to keep my kids motivated or interested for long periods about doing chores. We did the star chart. We’ve tried weekly allowance, but kids seen a week as TOO long of a wait and lost hope. Me, well, failing to bring them to the store frequently enough to spend it. Not to mention my lack of organization- How much I already paid, how much I still owe who? BLAH! I did losing privileges which failed all together. With too many things lost, they thought “What’s the point?”. That did more displaying of bad consequences than good. Especially the younger ones. They like to see the rewards quickly to maintain interest. Not real money! I edited a sheet of play money. Which I have link below for you to utilize! I added each child’s face to them (So, they wouldn’t steal. They also got super excited to see $ with their faces on it. Favorite characters, stickers, or paint and glitter their initial in the circle works, too.). Then, I printed on green paper. After each chore completed, they’d get $1. I also had extra credit chores that could be done IF their main chores were done. Like reading, reading to younger sibling, feeding the dog, etc. We’d give them a time frame. 1 hour before bedtime. If any main chores weren’t done, they owed me $1 for each. If they didn’t have any $, then it’s 15 minutes early to bed or they don’t get to shop at the store that night. Then, I’d open our Store each night (Crate of goodies) with a price tag on each. I’d separate a bag of suckers, making each $1 (Limit 1), tons of stickers/tattoo sheets of 100+, separated, $1 each. The better the toy the more the cost. I bought ALL these at the DOLLAR STORE! For the elders I also had a list that stated- Trip to ChuckECheese $200, Movie Night with Pizza $100, Sleepover $150, etc. Also, 1 hour before time limit, I’d announce “STORE OPENS IN 1 HOUR!”, then “STORE OPENS IN 30 MINUTES”. So, they aren’t caught off guard. When times up, I’d check and hand out cash accordingly. This not only gets them to do their chores and saves us TONS of money, but teaches them the benefits of saving up, even math! 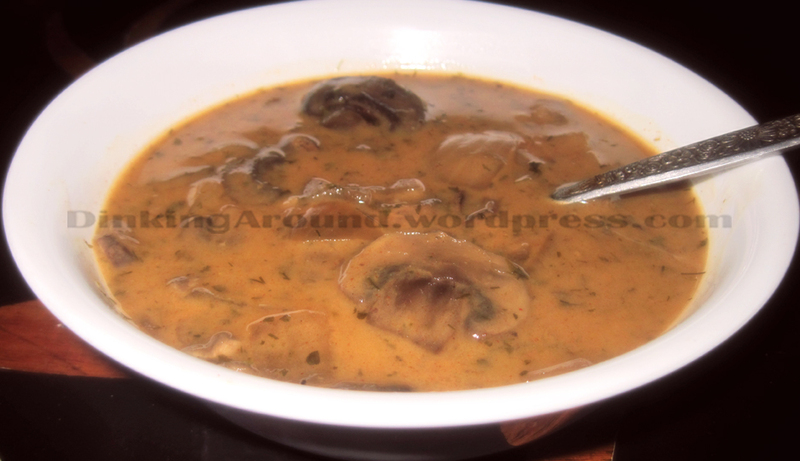 Fungi Soup (Mushroom Soup) – Only Soup a Fun Guy can Get a Life and Grow Up! Some top each served bowl with a 1/2 tsp of Sour Cream. I prefer it without. LIGHTLY rub crockpot with butter. Add ingredients. Cook 4-6 hours.